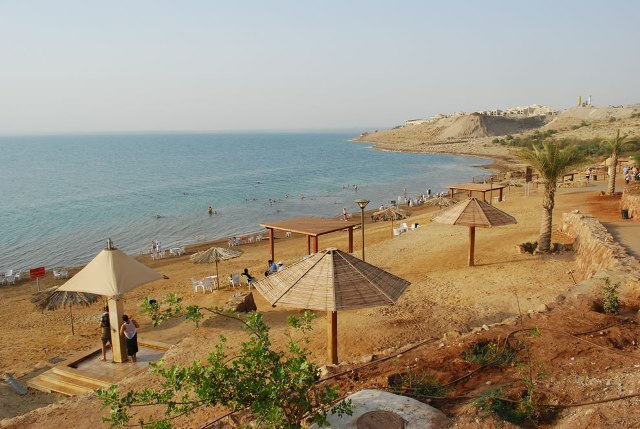 Near Amman, the capital of Jordan, is the lowest spot on Earth on dry land: the shore of the Dead Sea. This is undeniably among the best known of the tourist attractions in the country. Shared by Israel, the Hashemite Kingdom of Jordan and the West Bank, the Dead Sea is also the deepest of all the hypersaline (a term used to describe a state where the water exceeds the salinity levels of even the oceans, which are typically at 3.5% salinity) waters. With a salinity of 33.7%, the Dead Sea is not only over 8 times the salinity of the deep oceans but also among the most saline of all water bodies with verified salinity levels, with only three other bodies surpassing it (Lake Assal in Djibouti, Garabogazkol of Turkmenistan, and the Don Juan Pond in Antarctica). Beyond all of these distinctions, it also has an enduring place in popular imagination, making it the best known of all the hypersaline water bodies of the world.